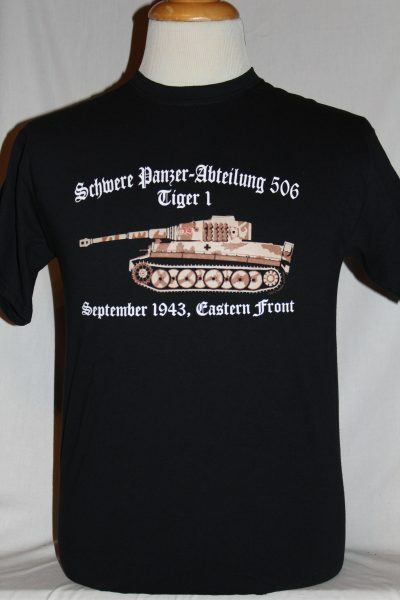 The SS Heavy Panzer Battalion 506 Tiger T-shirt is a two sided print in black. Front Design: Heavy Panzer Battalion Tiger I Tank 14 with text. 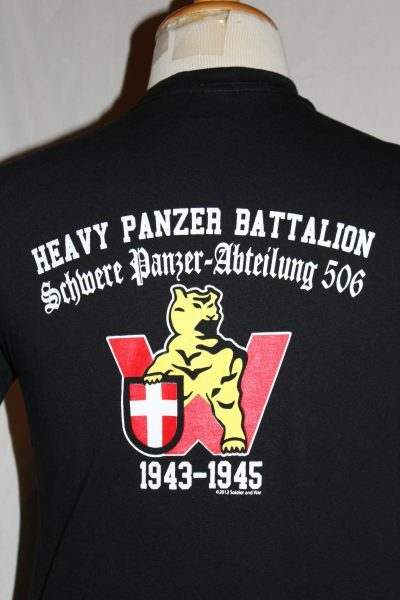 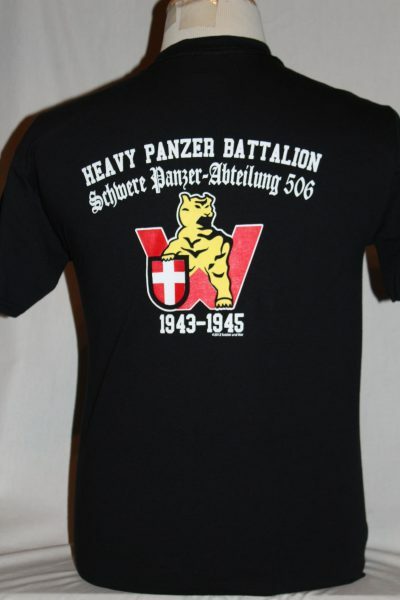 Back Design: Heavy Panzer Battalion 506 Insignia. 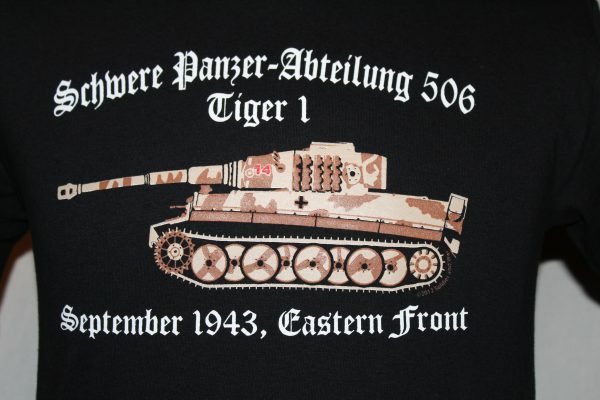 Standing Tiger, Cross shield, with text.